When you're swimming out in the ocean you may notice a fin sticking out of the water. This fin would belong to a Great White Shark and if you're not careful he may notice you. Once this vicious fish sees you you'll see that shark fin turn in your direction and move quite fast. Try to swim away all you want but that shark will catch up with you make you his mid afternoon snack. 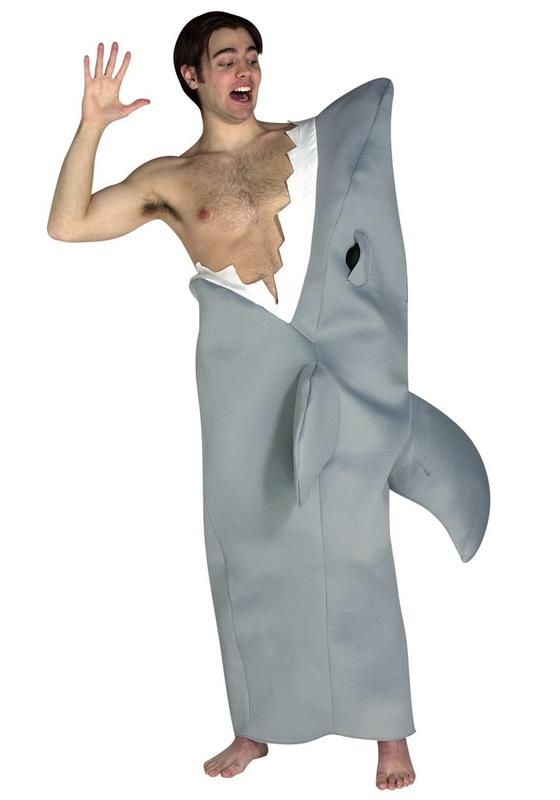 You can now look a shark's tasty treat in this shark attack costume. This is perfect for fans of the greatest week ever known as Shark Week. No extra room needs lots of stuffing of fins.